Yeah – I know it’s March. But I’m always in an October state of mind. This video will help you get there, too. The first ten minutes feature good dogs, great cover, and, most importantly, BIRDS. Here’s one of the best grouse-hunting videos I’ve seen. It was produced by the Ruffed Grouse Society. If you care about grouse & woodcock, you should join the Ruffed Grouse Society and help them conserve and create wild-bird habitat. This video sums it up nicely. It’s from Ann Jandernoa of Northwind Enterprises. Here are couple nice ruffed grouse videos to check out. The first one is a good intro to ruffed grouse and the second one shows a drumming grouse. 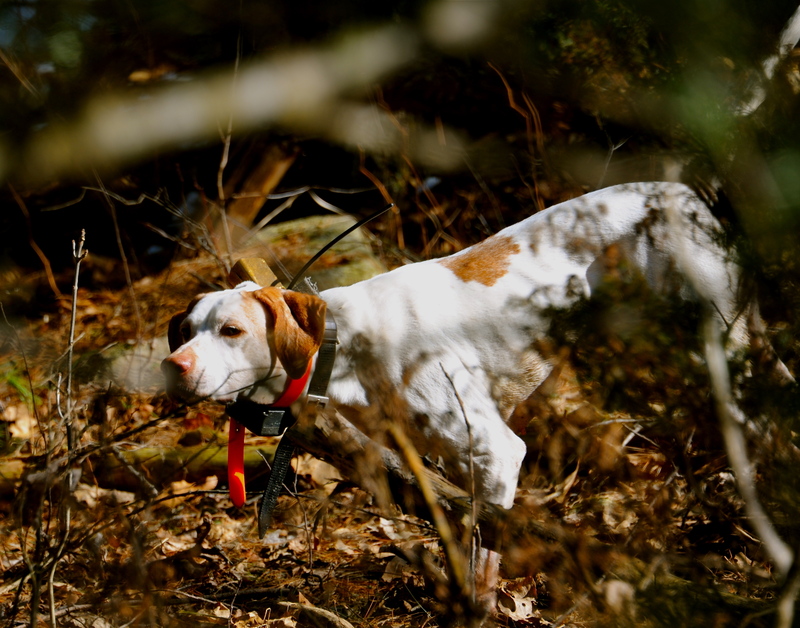 Puck and I spent last Saturday up in Maine with Grey’s Outfitters. We had a great time and we moved 12-14 grouse in all. Unfortunately, I’m a lousy shot, so no birds to take home. Below are two quick videos from the day. 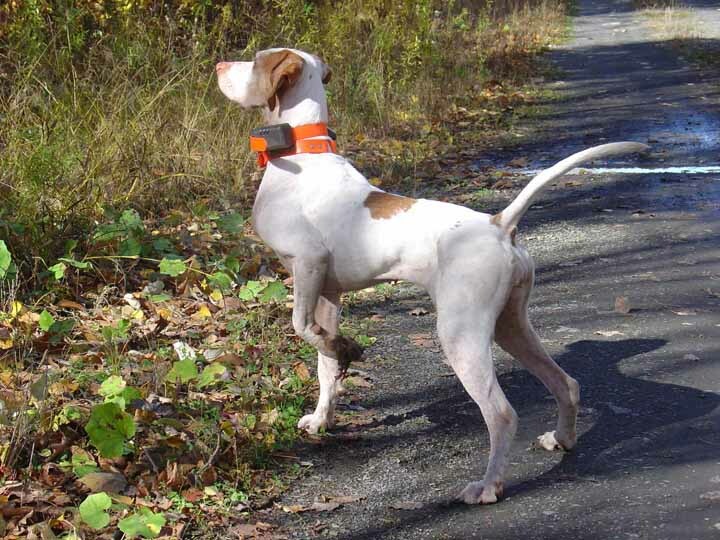 The English Pointer is a young male named Rock. 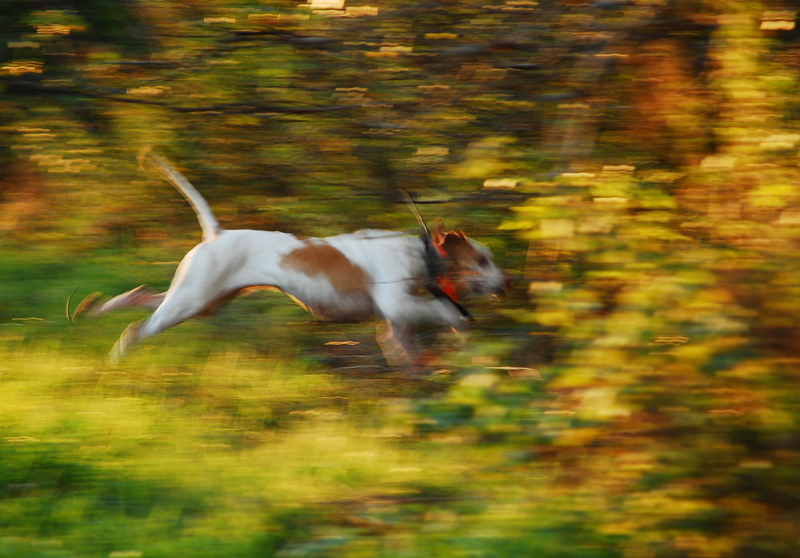 Kid chases grouse, grouse chases kid…. I wonder what Darwin would have made of this video. From what I’ve read, evolution doesn’t allow for the frivolous. Animals are purposeful and our actions are supposed to be all about passing on our genes. So what’s going on in this video? From what I can see, this grouse is clearly playing with this kid. If you’ve ever hunted ruffed grouse, you know just how fast these birds can be – at least when they’re flying. What you may not know, and what I never realized, is just how fast grouse are on their feet. This quick video shows just how quick these birds can be. In it you’ll see roosting grouse. Grouse do this after they fill their crops with food. A bit off the ground, and with his back in against the brush, this grouse is tough to see. Predators would have a difficult time approaching him without being noticed. Watch to see how reluctant this bird is to move and give up his location. But once he realizes he’s in trouble, it’s amazing how fast he moves. It’s also interesting that he doesn’t fly off. It makes me wonder how many times they’ve simply run away from my dog when she goes on point. 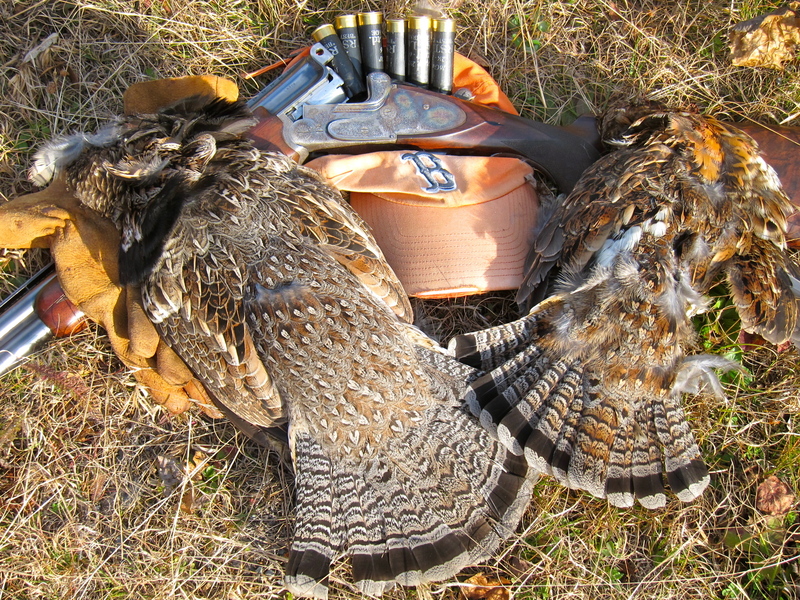 One woodcock + One grouse = A Good Day…. The woodcock are officially back in Maine. Puck pointed our first one of 2012 yesterday. I thought we would find more of them, but they just weren’t around. It is a little early, though. 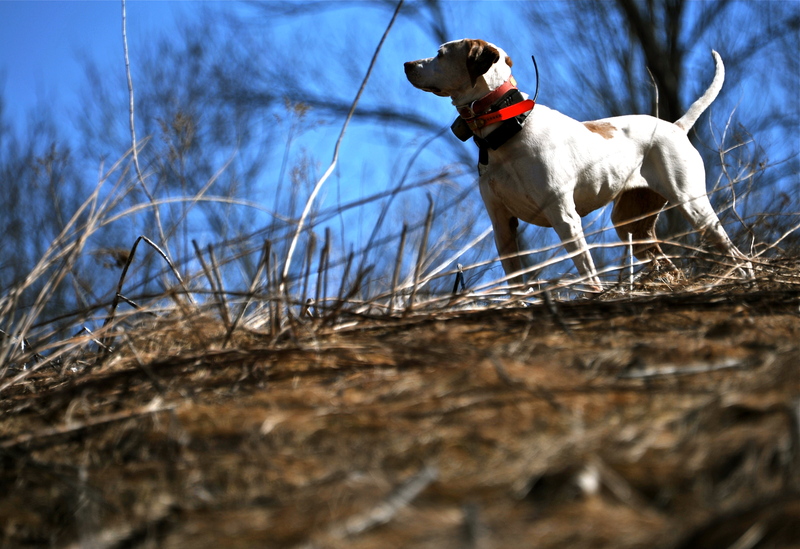 Puck also pointed a grouse. Overall, it was nice day. Enjoy the pics. Here’s a quick little video that shows Ann Jandernoa of Northwind Enterprises explaining some things to look for when you’re trying to find grouse. Ann is a grouse wizard. 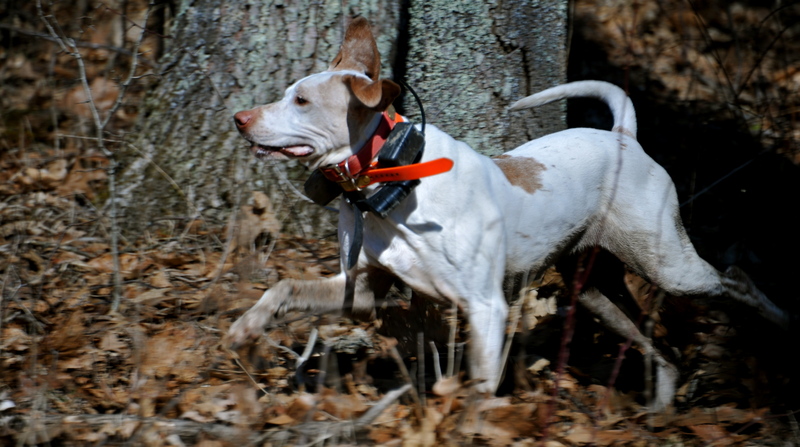 Puck and I hunted with her in the fall of ’04 and she really knows her stuff. 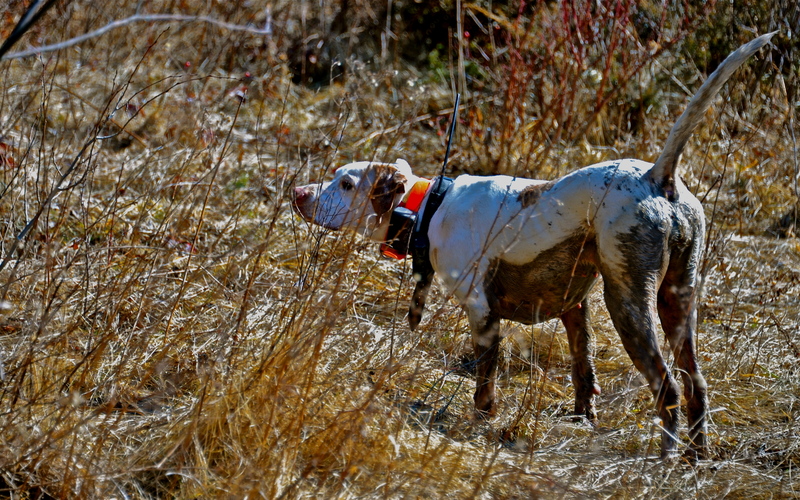 If you want to learn more about grouse, grouse hunting, a great dogs, I suggest getting touch with her. I was doing a bit more research into winter time grouse foods when I came across this: Winter Food Habitats of Ruffed Grouse in Young Aspen Stands. 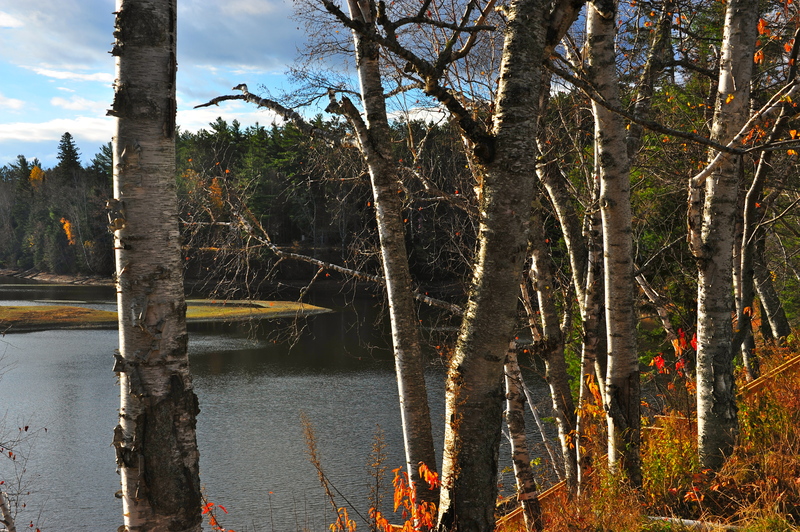 This paper is based on finding from a 1972-1973 study of 10-15 year old clear cuts in Oneida County, Minnesota. 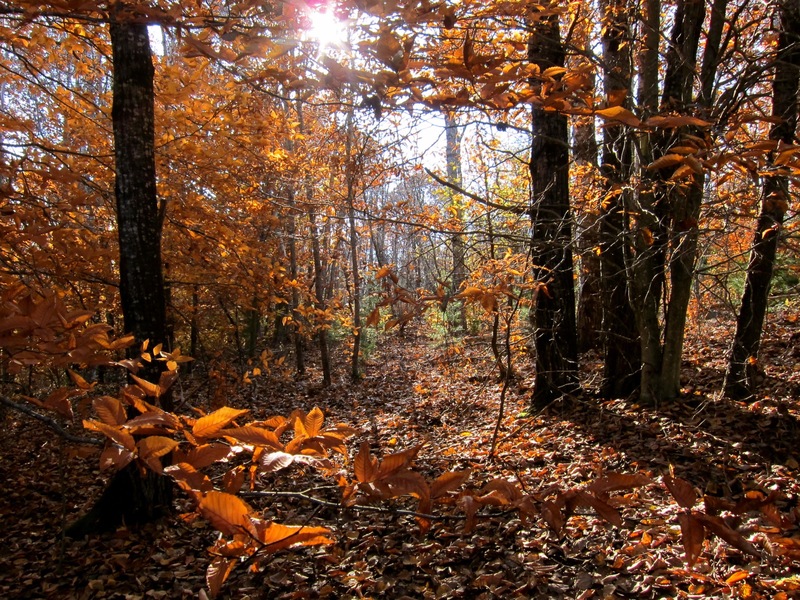 The researchers found that the top ruffed grouse foods were Aspen bud and Hazel catkins. 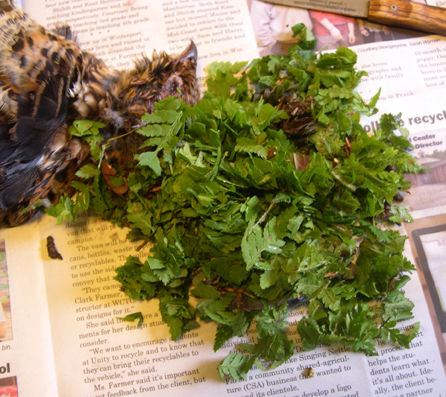 The grouse also were also feeding heavily on a species of ferns, as well as on wintergreen and goldenthread. I’ve always been told that grouse switch to Aspen buds as cold winter moves in and the ground freezes up. This string over at Upland Journal proves that that’s not the whole story. Some bird’s diets are a bit more diverse. 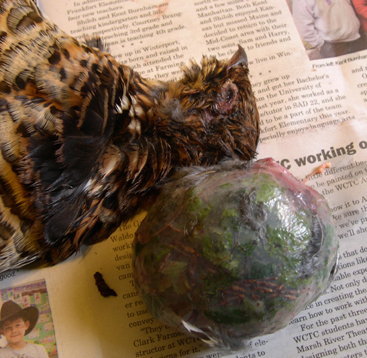 The bird was shot in late December. Check out the content of it’s crop (and just how full that crop is) to see what it has been eating. I think that green, leafy stuff is Toothed Wood Fern. 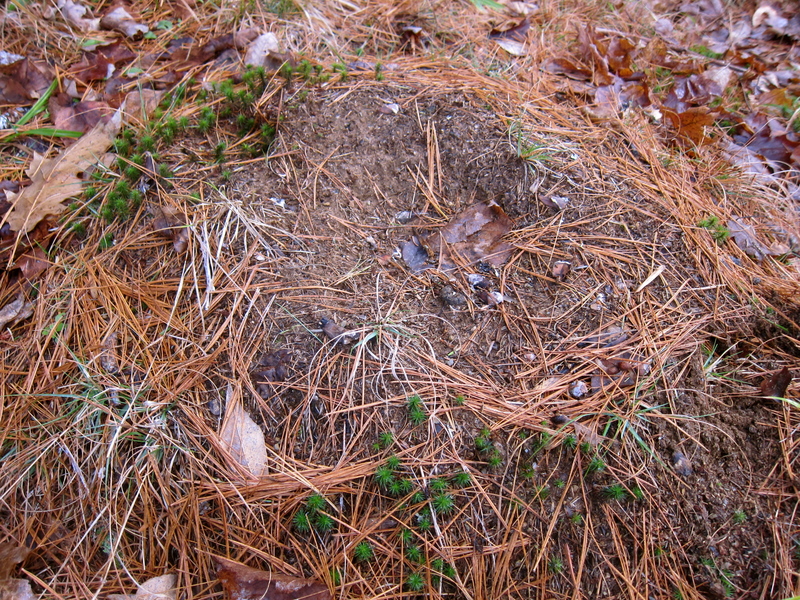 Here’s an anthill I came across a couple of weeks ago that looks like it’s pretty popular with grouse. I don’t know if they roost on it, dust themselves on it, or do both. As a hunter, I usually don’t get see grouse doing there own thing. Here are few videos of them doing just that. It’s amazing how many berries they can stuff into their crops. Here’s something you like to see outside one of your grouse covers. Those are some plump looking birds. I think they’re feeding on Rowan, aka mountain ash berries. At first I thought it was Winterberry, but the berries are in clusters made me change my mind. Any botanists out there? 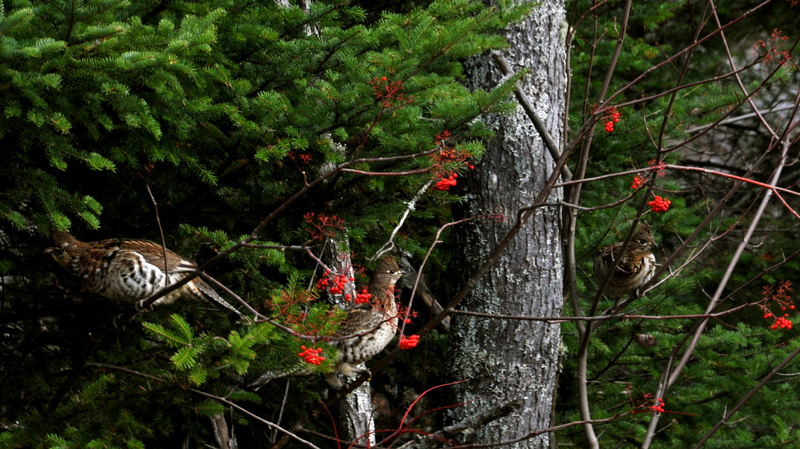 Ruffed Grouse Feeding on Mountain Ash? 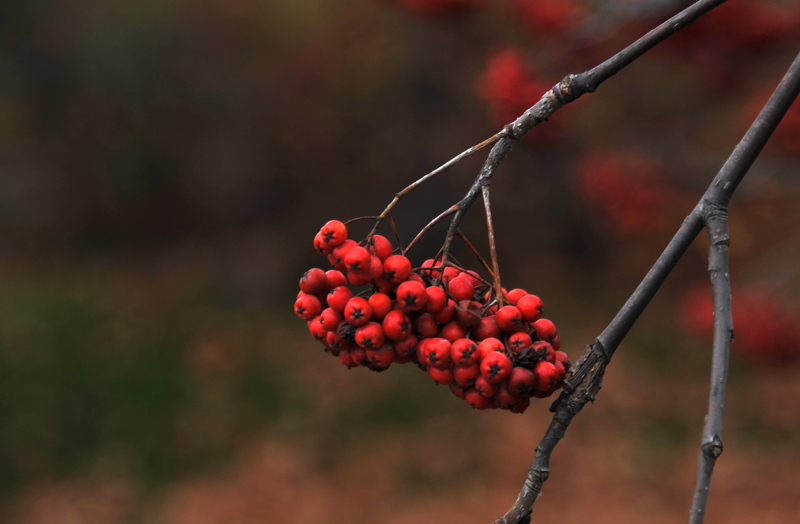 ENJOYING BOTHGrouse, hunting, maine, mountain ash, new england, ruffed grouse, winterberry4 Comments on Grouse and…American Mountain Ash? ?